Throughout the ages, the lords of the medieval Chateau of Le Castellet kept their table supplied with wines from the same legendary terraces which are now known as Moulin des Costes, named for the 18th century Provençal manor house which still overlooks the property. 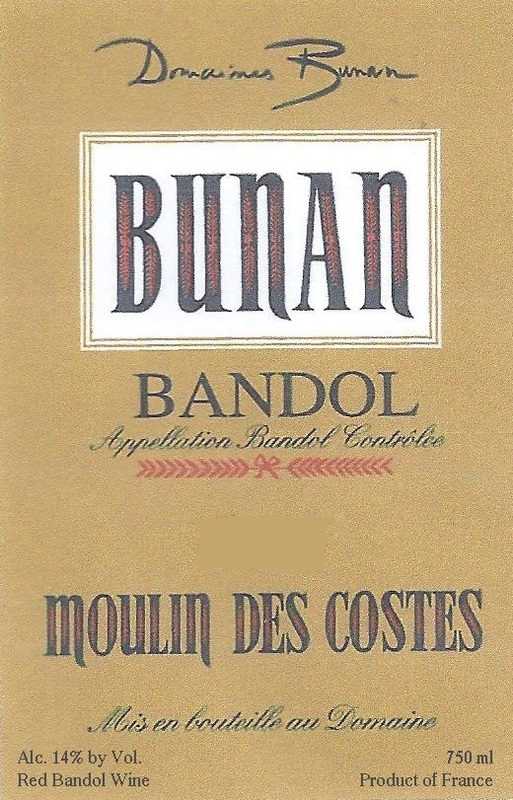 In 1961, brothers Paul and Pierre Bunan purchased this vineyard in the hills above the port of Bandol. The vineyard area is a single plot of 14.56 hectares in the area around the medieval village of Le Castellet. Its subsoil is composed of limestone, sandstone and marl. Over time they have renewed the vineyards, planting the classic Bandol varietals Mourvèdre, Grenache and Cinsault, but many old Mourvèdre vines still remain. Their wines enjoy a great reputation among the Mediterranean resort towns from Marseille to Nice, as well as a healthy export market. The wines of the Bunan domaines are farmed organically. 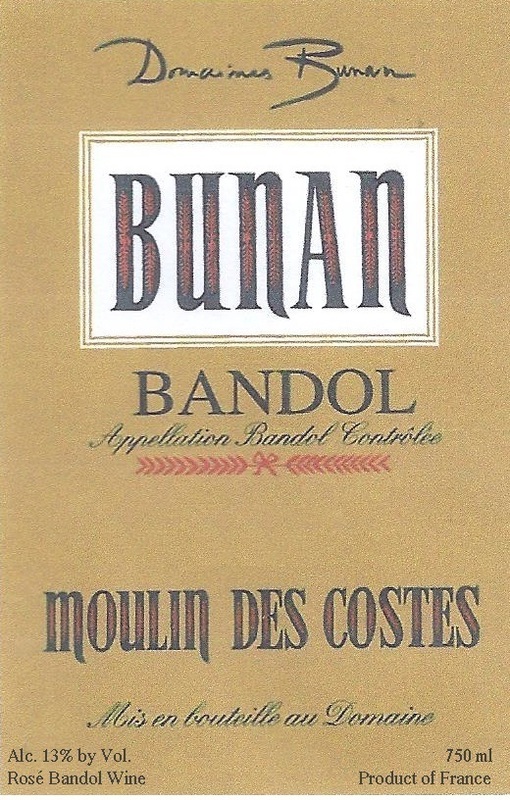 Bandol Rouge "Moulin des Costes"
Bandol Rosé "Moulin des Costes"